Next what background colour or 100% embroidery? Next what type of border? Heat seal (iron on), Plastic Back or Stick-On? between the fabric and backing. How many patches do you want roughly? Patches ship from Alameda, California U.S.A. If you want to change something on your patch still you can! After the eproof is approved you will be given a ship date. The production time will take about 3 to 4 weeks. 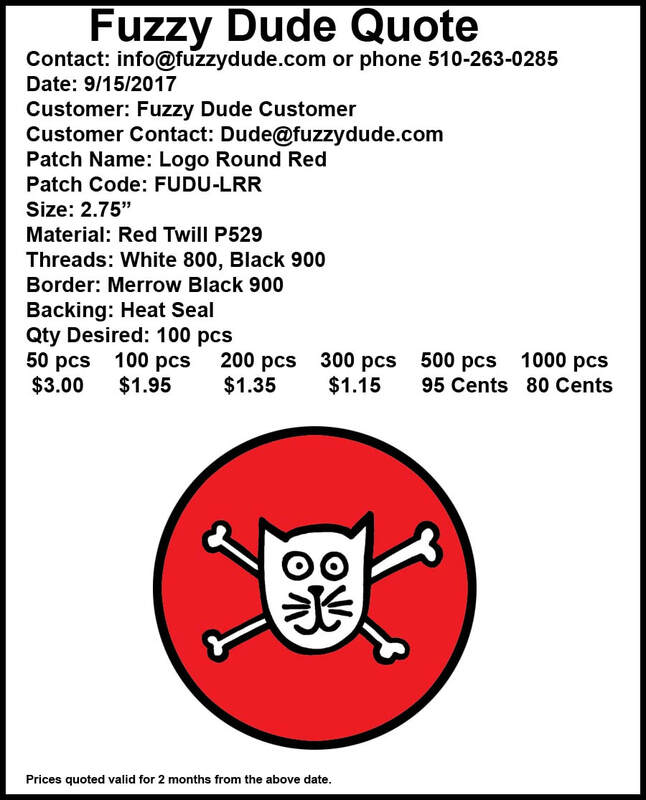 When the patches are ready to ship we will contact you for shipping instructions. including the shipping (and taxes if applicable). we can email your invoice upon request. paper Credit Card receipts can be sent with the order upon request. Please email us if you have more questions.